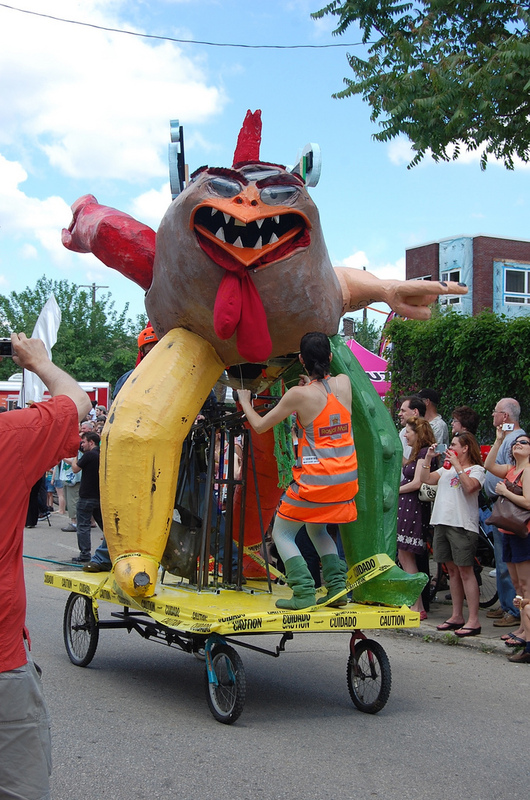 Greater Philadelphia Bicycle News: Kensington Kinetic Sculpture Derby Does Not Dissapoint! Kensington Kinetic Sculpture Derby Does Not Dissapoint! For those of you unlucky enough to miss the 5th Kensington Kinetic Sculpture Derby (on Saturday, the only nice day in weeks), it lived up to its reputation as a joyous celebration of people powered contraptions, Philadelphia's brand of creativity and uninhibited fun. Check out our photos! There were some old favorites from teams entered in previous years, and a few new ones that caught our eye. Not sure when the winners will be announced, but you can follow it on the KKSD Facebook Page. Thank you KKSD organizers, New Kensington CDC and the Trenton Avenue Arts Festival for a terrific event and day.